This game was a hit at my friend’s 30th b-day party. I recommend it if you want to have a fun evening with your friends and family. My kids bought this as a Birthday gift knowing that I am a BIG fan of Cards Against Humanity. 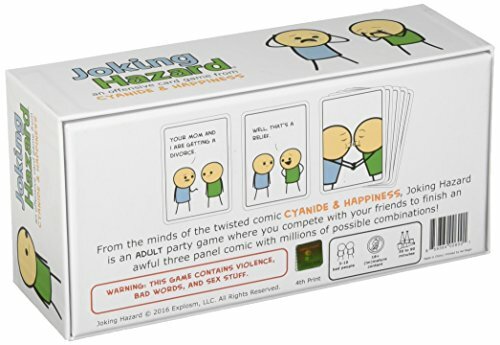 It is a funny game and does give you a change from playing Cards Against Humanity even though it is set up in the same style of game play. 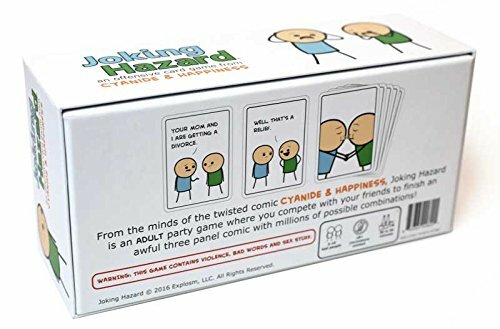 Even though it is funny, if you are not familiar with Cyanide & Happiness then some of the humor of the game is going to be lost. 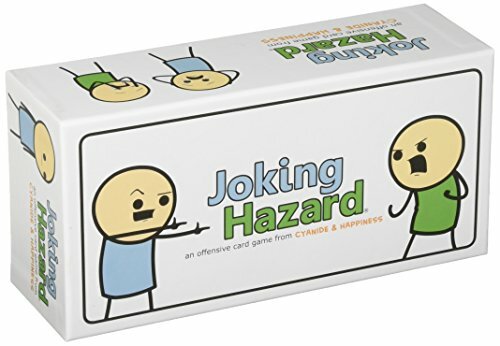 Even though I did like the change up, I would have personally preferred to have gotten one of the many expansion packs to Cards Against Humanity that I don’t have. So bottom line. 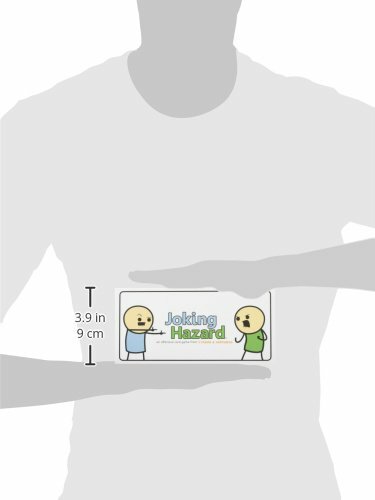 Yes it is funny and fun, but if you are not familiar with Cyanide & Happiness then stick with Cards Against Humanity. You will have a much better time playing. We absolutely love this game!